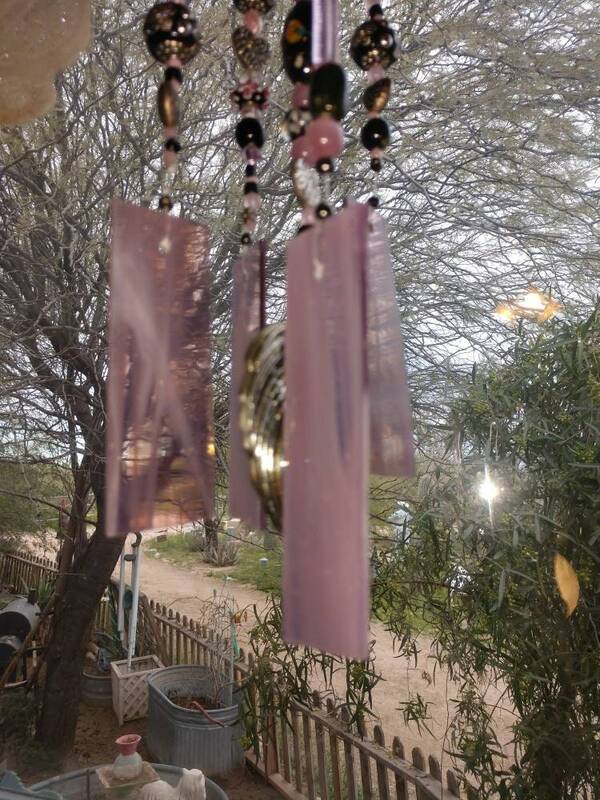 This beautiful stained glass and beaded wind chime is made from an elegant black spherical ball with vintage pink glass and handmade lampwork beads. 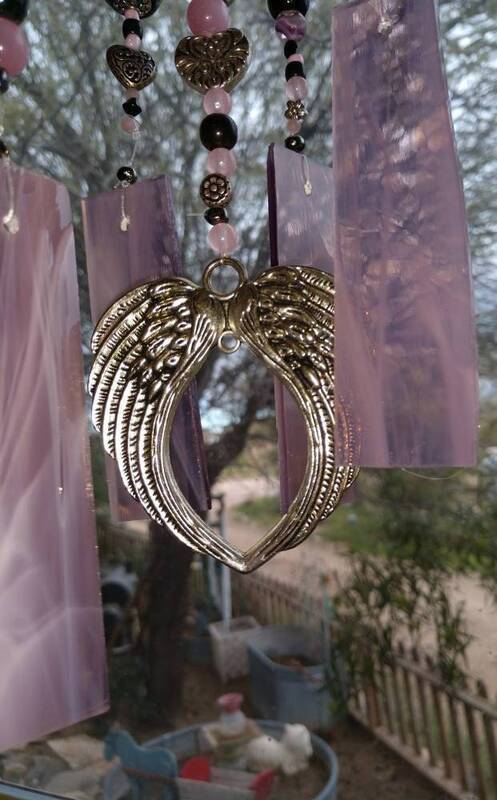 The pale pink glass chimes are accentuated by silver angel wings hanging from the center of the windchime. 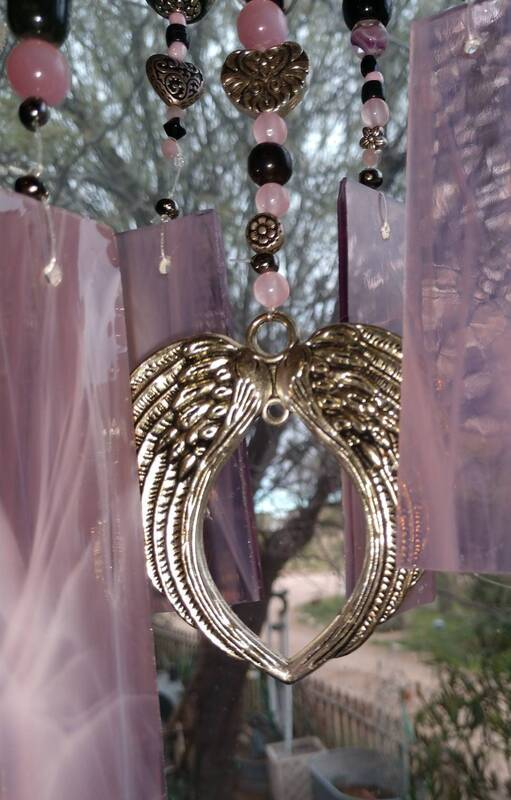 Custom orders available on request.